Is it strange that I’m already feeling a little anxious about the prospect of life without a series of Game of Thrones in the pipeline? The final series (shudder) of the amazing and life-changing television show — pitiful words that don’t do justice to the fantastical, alternate world of profound violence, drama and horror — is about to drop later this month. While I’m looking forward to finding out how my favourite characters meet their end, face their challengers and who finally gets to sit on that Iron Throne, there’s a deep sense of foreboding that it’s all going to come to an end. If you haven’t watched it yet or have been living under a rock for the past few years, Game of Thrones is an HBO series that tells the tale of the fictional land of Westeros and the battles of the lords of the seven kingdoms to take the all-powerful Iron Throne. There are warriors, dragons and zombie-like creatures called White Walkers who are also vying to bring about the end of the living world. We’ve been waiting for more than a year since the last series aired. It’s been a struggle. In this time I’ve visited some of the places where the cast and crew filmed and where the characters walked wistfully in their varied shoes. Living in Northern Ireland has made this possible. The places I visited included the road to King’s Landing in the show, which in real life is called the Dark Hedges, a hushed and atmospheric place where breathtaking beech trees hundreds of years old line the entrance to an old stately home, since tarmacked and tread by many thousands of tourists every year, myself included. But the frenzy of fans’ feet still doesn’t take away the deep sense of yearning that the trees engender. I recommend a trip if you can. 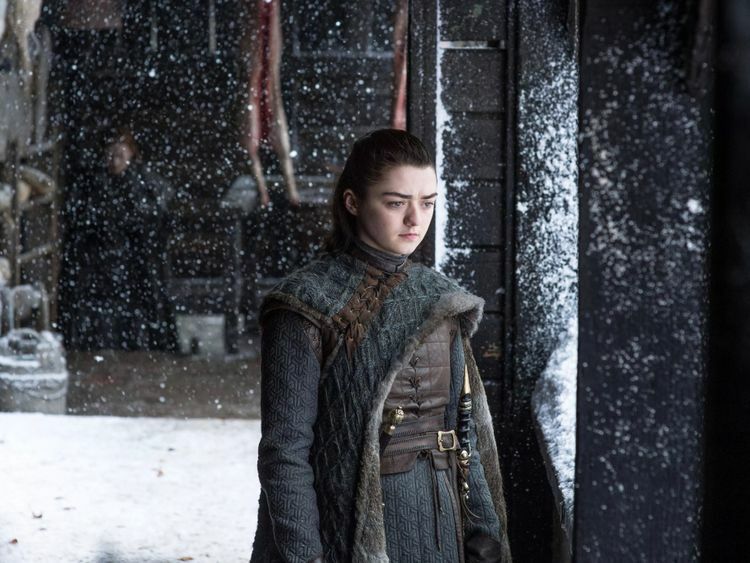 There are few other TV shows currently out there that can match Game of Thrones for the scenery and locations, as well as the drama, tension and depth of the storylines. It’s a medieval maelstrom of lawlessness and greed, mesmerising in its mischief and mayhem. And I can’t wait for the next and final instalment. But a distinct problem these days with popular TV shows is the time they take to bring us a new season after the last one has aired. Why do they make us wait so long? The delay seems to be getting longer and longer depending on the success of the programme. A few months is understandable, but we’ve had to wait almost two years for the next batch of Game of Thrones. However, I guess because of the locations, the storylines and the utter magnitude of the production, we can forgive them a few more months on top of that. Judging by the time it has taken for them to bring us the final, and by the rumours and conjecture of the events of the last few episodes to come, it’ll be one for the television history books. I for one would like to see the TV show go on forever, but they say all good things must come to an end. I felt the same way about Lord of the Rings and the Harry Potter series — spot the sci-fi fan. But I suppose there’s always something else in the pipeline, something around the corner in TV land that takes you by surprise, brings a whole new meaning to evenings on the sofa and opens up a whole new world of fantasy and escapism. In the meantime I’ll savour the last few remaining episodes of Game of Thrones, and revel in the fiery discussion and debate with my fellow Thronies.